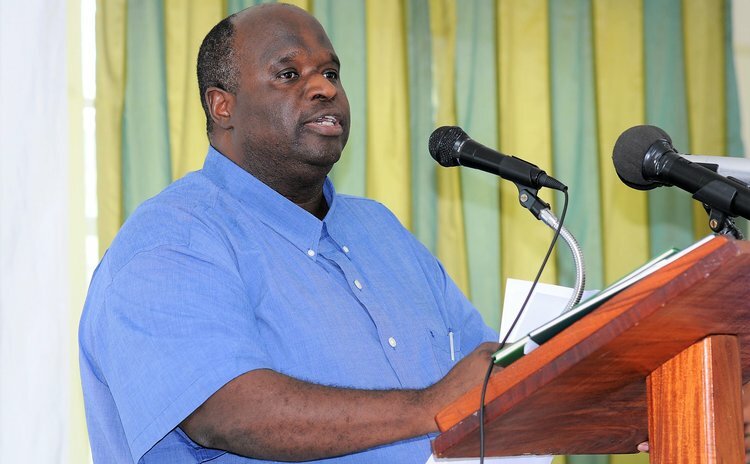 Asked whether Dominica's electoral system is ready for the next general election that could be called as early as May 2019 or as late as May 2020, Gerald Burton, the Chairman of the Electoral Commission said the Commission is aware of that period in the electoral cycle. Speaking at the recent Dominica Association of Industry and Commerce (DAIC) organised Eggs & Issues Breakfast forum under the theme: "The Electoral Process: Our Collective Responsibility" held last week at the Prevo Cinemall, Burton said: "The Electoral Office and Electoral Commission are regularly engaged with the process of reviewing its procedures, reviewing its equipment and materials for the purpose of conducting a general election." He added: "The Electoral commission is always sensitive to the particular time that we are on the election cycle." Burton said since the Constitution of Dominica gives the Prime Minister the authority to call a general election at any time that he chooses, "the Electoral Commission and Electoral Office have to work in such a way to respond to that constitutional provision." Burton continued: "That is why the Commission is mindful of the times we may be in respect of the electoral cycle and it has to make every effort to increase its readiness so that it is in a position to act and to fulfill its mandate." But a major contentious matter, the issuance of identification cards to electors is currently mired in political controversy. The opposition United Workers Party had indicated that it accepted the concept of an identification card. That was in response to a press release from the Electoral Office in 2017 that announced that it had begun making arrangements to implement a national ID card system that will "modernize and improve" the voting process. For many years, the United Workers Party (UWP) had been calling for a voter ID card system that requires registered electors to present valid ID cards before being allowed to vote. Responding to the announcement, UWP spokesman Nicholas George said the party is receptive to the new ID card and is confident that it will fulfill its purpose because it contains extensive security features to enhance its integrity. "The law calls for a voters' ID card . . . it's what the card itself represents. And the United Workers Party doesn't have too much of a problem with this," George said. Burton, however, maintains that the commission cannot move ahead with the issuance of identification cards because of the failure of parliament to enact the necessary legislation. "The Commission's request for funding of the new identification card system was met by the Government to the tune of EC $ over 3 million. The system has been developed to the Commission's specifications and the Electoral Commission currently has at its disposal, all of the equipment and software necessary for the implementation of the system," Burton said at the DAIC forum. "All that is missing as part of the equation is the implementation of the statutory amendments for bringing the system into effect." But the draft Bill to amend the laws governing voting and the identification system has hit a brick wall. The opposition and the pressure group, the Concerned Citizens Movement have protested vehemently about certain aspects of the proposed amendment to the law. "The recent draft amendment to the Registration of Electors Act, recommended to Government by the Electoral Commission, is indeed a sad commentary on what the Electoral Commission accords highest priority for electoral reform; this focus on ending the residency requirement, and putting in its place a provision for re-confirming names of electors who are in the diaspora has sinister designs," wrote the Concerned Citizens Movement to Burton in October 2018. "It is abundantly clear from this draft amendment that the majority members of the Commission are not acting independently, and in the best interests of Dominica as mandated by the Constitution. There is clear bias on the part of the majority members as they openly promote the political agenda of the Dominica Labour Party and its strategy for the next general elections". In his speech at the DAIC Eggs & Breakfast forum, Burton suggested that there was room for compromise on the issues affecting electoral reform. "The history of the draft legislation is well known to you and unfortunately remains a matter of much disagreement, on areas, which in my respectful opinion are not incapable of arriving at compromise, if we genuinely wish to see the process advanced", Burton said. Maybe the Commission should begin the process of seeking the compromise that Burton suggests, by bringing the contending parties together. In fact, seeking consensus from all major Dominican groups, before taking the draft amendment to the Registration of Electors Bill to parliament, would have avoided the current predicament.